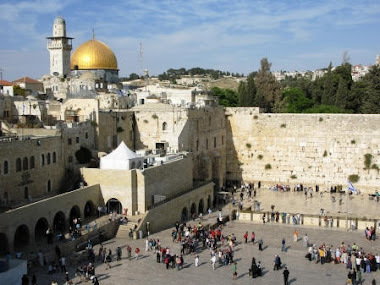 Last Day Bible Prophecy: Does God Want Us to Build Temples? It seems to me a temple is required? You said: "It seems to me a temple is required?" I don't think God wants Christians or Israel to build any more temples. Let's look close at part of the scriptures you cited from The Book of Revelation and we will see that THIS PARTICULAR TEMPLE IS NOT ON EARTH. IT IS "IN HEAVEN:"
"And there was given me a reed like unto a rod: and the angel stood, saying, Rise, and measure the temple of God, and the altar, and them that worship therein. But the court which is without the temple leave out, and measure it not; for it is given unto the Gentiles: and the holy city shall they tread under foot forty and two months (Rev 11:1-2)." "And the temple of God was opened IN HEAVEN, and there was seen in his temple the ark of his testament: and there were lightnings, and voices, and thunderings, and an earthquake, and great hail (Rev 11:19)." "...that day shall not come, except there come a falling away first, and that man of sin be revealed, the son of perdition; Who opposeth and exalteth himself above all that is called God, or that is worshipped; so that he as God sitteth in the temple of God, shewing himself that he is God (2 Thes 2: 3-4)." What we are told here is that antichrist IS EXALTING HIMSELF, using HIS (antichrist's) power... he is lying and deceiving people, with HIS impersonation... ...AS THOUGH he were God…. …AS THOUGH he were sitting in the temple of God, "shewing himself that he is God." Antichrist will never be God and antichrist's temple will never be God's temple.